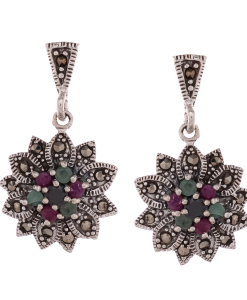 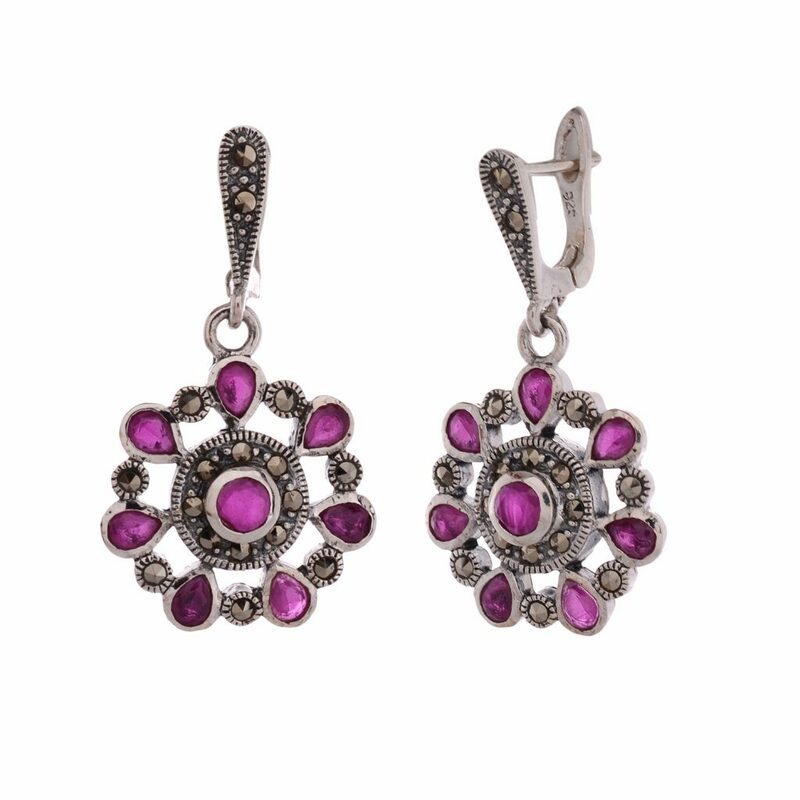 Marcasite Purple Stone Hanging Earring in 925 Sterling Silver. 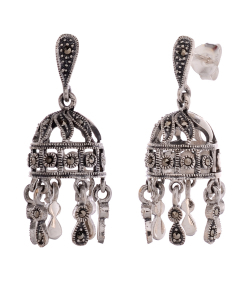 Due to dark tone of marcasite gemstones, Marcasite looks striking in sterling silver. 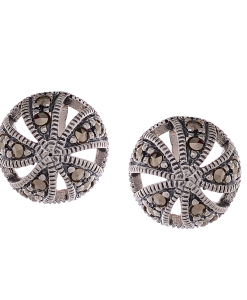 Marcasite Stones have a shimmering effect which adds to the subtle shine of sterling silver. 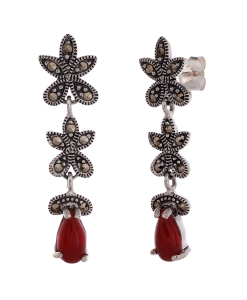 The base metal used is sterling silver. 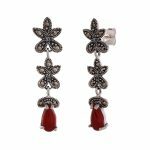 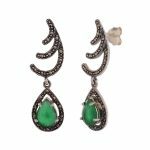 Marcasite Stones gives a vintage effect to this jewelry.The design is classic and elegant and it fits for any occasion, daily or office wear.